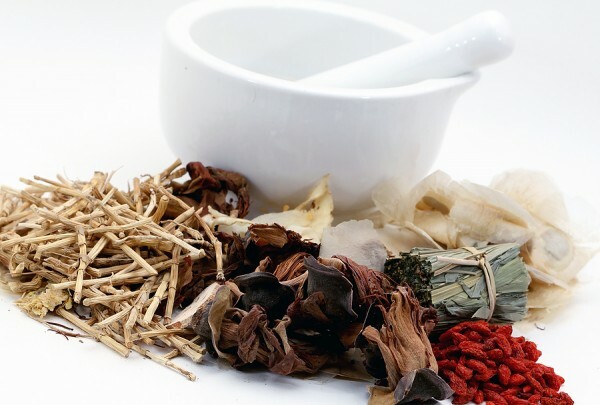 Often we will customize a herbal treatment using the precision of Chinese Herbal Medicine, one of the most ancient, preserved and developed herbal paradigms. Chinese Medicine has sophisticated diagnosis abilities including questions, pulse and tongue diagnosis, which helps us see your whole pattern and find an individualized formula to fit your needs. We can help in this natural and holistic way with such diverse conditions as lack of energy, colds, lung congestion’s, allergies, digestive problems, diabetes, high cholesterol, high blood pressure, heart palpitation, migraines, liver ailments, skin problems like acne, psoriasis and dermatitis, adrenal fatigue, urinary infection, arthritis, anxiety, depression, radio and chemo support, water retention, prostatic disorders and many more. We also specialize in women health problems relating to PMS, menses, fertility issues, pregnancy, menopause and hormonal imbalances. In holistic Medicine one of the most important things is the clients participation. Holistic medicine can be your doorway to spiritual healthy life. What does your spirit need, to be happy? What does your body need to be healthy and vital? What does this dis-ease want to tell you? Where can you support yourself? As the Chinese saying goes, ”Hasten slowly and you will soon arrive”. Three Treasures has a comprehensive, abundantly stocked pharmacy of Chinese, Western and Ayurvedic herbs. We carry bulk herbs and we make our own tinctures, elixirs, herbal teas, ointments and massage oils. The bulk herbs are of the highest quality available. Our first choice is organic or consciously wild crafted herbs, and when not available, we choose herbs that are tested for pesticides, sulfur, chlorine and aluminum phosphate. Walking in the forest, or in green meadows with lots of different variety of grasses, wild flowers, many shades of greens and smells, brings rejuvenation and energizes our whole being. Isn’t it a big wonder how this plant world is supporting our life energy, and you can be sure, that for every ailment, there is a plant which cures it. Many wise famous doctors in the old times sent their patients into nature to get back to harmony and to heal. Herbal Medicine captures the essence and healing power of the plants and supports your system and well-being. This type of Medicine is one of the oldest curing forms, passed down from mouth to mouth, from generation to generations until today, ready for you to use natures healing power. This time, before you take a pill with damaging side effects or just living with the pain and suffering of nagging ailments that can wear you down, let the healing herbs of nature detoxify, nourish, strengthen, balance and cure you. We named our created products “Sanbao Medicinals“. It means Three Treasures and traditionally refers to Qi, Jing and Shen (energy, life force and spirit.) According to Chinese tradition if these three forces are plentiful and in balance the body and mind are strong and vibrant and shielded from harmful influences. Under our brand name “Sanbao Medicinals” we make our own tinctures, using organic grain alcohol and the highest quality available herbs. We produce formulated tincture formulas, a herbal tea line, ointments and massage oils. 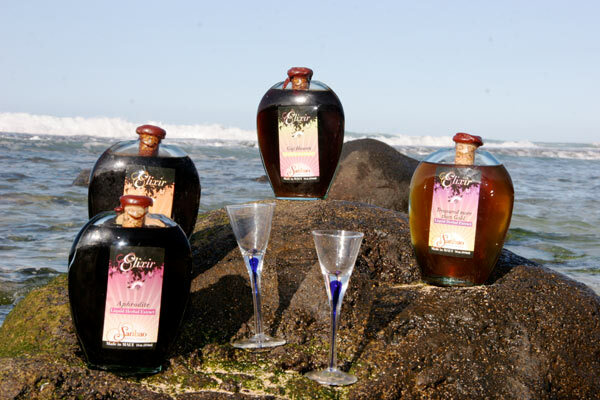 We also created delicious Elixirs extracting “superior” herbs in rice wine. 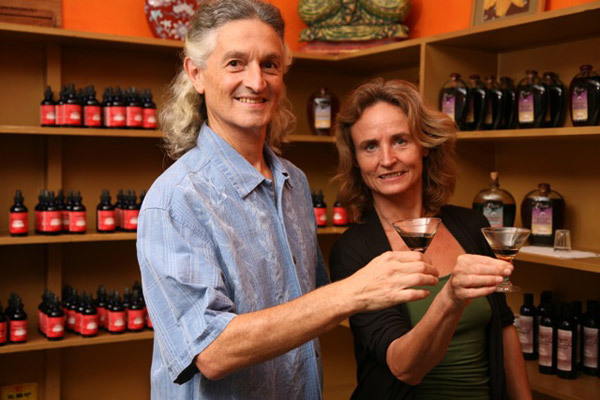 To make an appointment for a Herbal Consultation and to get to know our herbal specialists, please visit our About Us page or call for an appointment: 808-575-9888. Please fill out an intake form before you make an appointment with us. Click here to proceed. Check out our Herbal Pharmacy to learn more about Chinese, Western and Ayurvedic herbs. All herbs are organic or consciously wild crafted, and when not available, we choose herbs that are tested for pesticides and are sulfur-free. The freeze dried granules are five times more concentrated than dried herbs and dissolve instantly in hot water.